Governor Palin today spoke about the nomination of Christine O’Donnell, and the Republican establishment on the O’Reilly Factor. Gov. 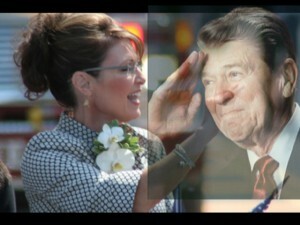 Palin Talks to Fox News About Christine O’Donnell retrieved from PalinTV. 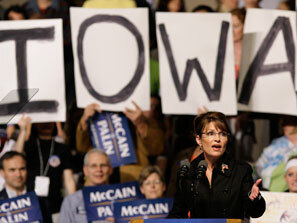 Governor Palin today spoke about the nomination of Christine O’Donnell, and the Republican establishment on Fox News. “The time for choosing” has come she said. Bristol Palin has a fan page on facebook! Bristol has a fan page on facebook. For those interested in following her on “Dancing with the Stars,” click here, to become a fan! Please tell your friends to become a fan too. Let’s show Bristol how excited we are for her! Governor Palin yesterday electrified an audience of over 5,000 with her her pro-life message at a CareNET Banquet in Waco, TX, according to a Central Texas Now report. “Her speech started and ended with a standing ovation, and she stopped for applause many times in between,” the article stated. She said that “progressive” feminist groups with their pro-abortion message do not empower women, rather hold them down. She discussed living her pro-life values under less than ideal circumstances, conceiving and giving birth to Trig, who has Down Syndrome; and Bristol Palin’s pregnancy during the 2008 campaign. Delaware voters on Tuesday delivered a stunning blow in what had become yet another test for Sarah Palin and the Tea Party. 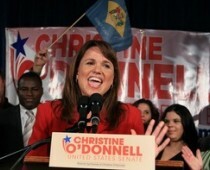 Christine O’Donnell, the Sarah Palin and Tea Party backed candidate, made a huge upset, defeating the moderate, party-favorite veteran Rep. Mike Castle in the Delaware GOP senate primary. Former Alaska Governor Sarah Palin will campaign for Republican Rand Paul’s bid for the U.S. Senate Thursday in Louisville. The Rand Paul Victory Kentucky lunchtime fundraising event, where Palin will appear as a special guest, will take place in Louisville at the Crowne Plaza Hotel. Paul, a first-time candidate, is running against Democratic Attorney General Jack Conway. They are vying for the seat of Republican Sen. Jim Bunning, who is retiring after two terms. The Ronald Reagan Dinner: A Salute to Freedom will be held this Friday, September 17 at HyVee Hall (730 3rd St. in Des Moines, IA). The doors will open at 5:00p, and the program will begin at 6:30p. You can purchase your tickets here if you haven’t done so already. The cost is $100/person, and $1000 to sponsor a table. I know the Black Hawk County GOP had four tickets left, and my friend (and contributor here) Kim Lehman reserved a table and was looking for people (if you are interested, contact me and I’ll get you in touch with her). If you can’t attend, C-SPAN will be covering the dinner so you can watch on TV or online at approximately 7:00pm (CST). You can also land here as I will be sitting at bloggers’ row live blogging the event. Shane Vander Hart is the editor of Caffeinated Thoughts (and lives near Des Moines, IA where they trip over presidential candidates). You can follow Shane on Twitter and friend him on Facebook, he’d love to connect with you.